Help & DocumentationCreating ContentCreating Basic Metrics and Reports Choosing between Metrics, Multi-Metrics, and ReportsWhat options are available for manually loading metric and report data? 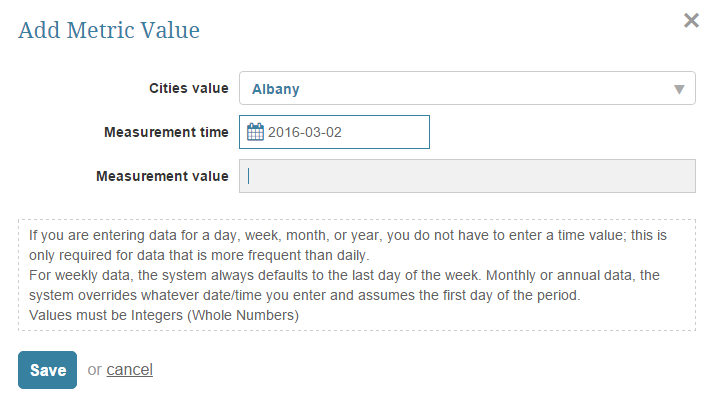 What options are available for manually loading metric and report data? 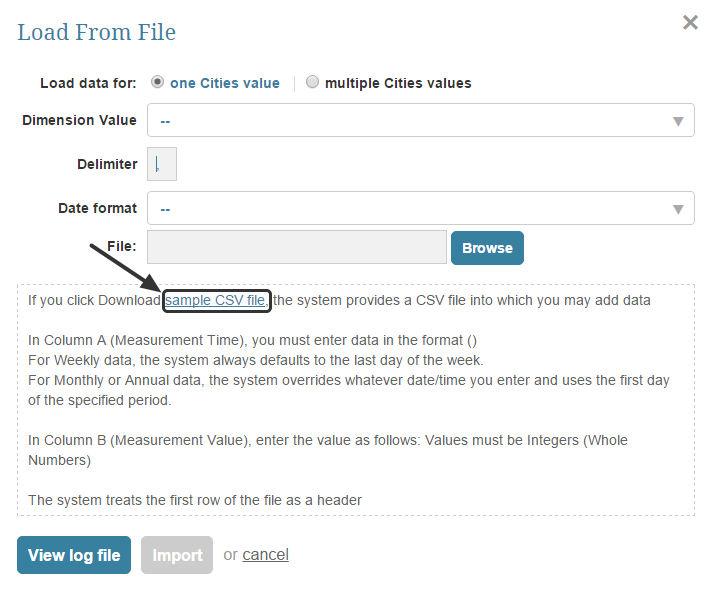 You can select an option based on the characteristics of the file that contains your data. Each option can be used for both Dimensioned and Undimensioned elements. Each method is further explained below and any technical restrictions are identified. Prev: Should I use a Metric, Multi-Metric, or Report to visualize my data? Next: What is the Impact of Charting Intervals on Charts?